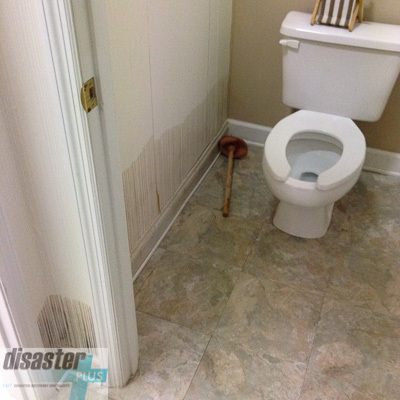 When you have water throughout your home or property, you need a company that you can trust. 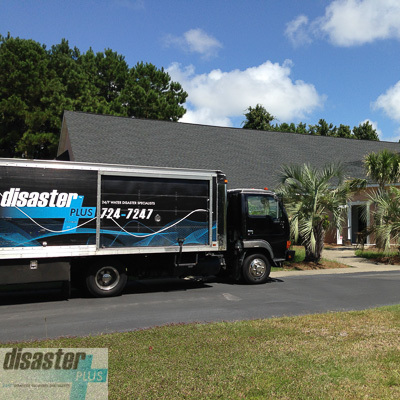 Disaster Plus has been providing peace of mind since 1986! We work with all of the insurance companies, and our experience can help to ensure that your claim is covered. 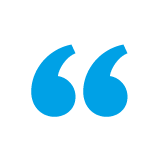 We are not some fly-by-night company that will leave you high and dry, but rather members of your community who promise to work and communicate with you till our work is completed. We are committed to rapidly responding to the call of our neighbors, believing that rapid response to a disaster minimizes damage and costs to both the insured and the insurer. 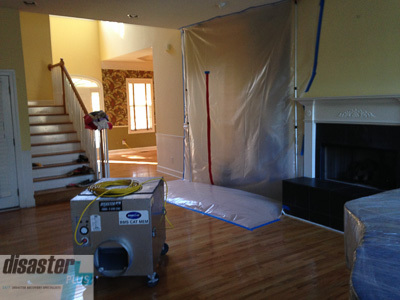 It is our mission to provide quick, effective, and superior remediation services, 24 hours a day, 7 days a week. Adhering to the Golden Rule and providing our customers with premier customer service. Utilizing the most effective restoration tools and equipment available, as well as the latest technology in moisture and environmental monitoring. We consider ourselves blessed to provide peace of mind to members of our community in their times of disaster. Rarely can one rely on professionals today; so many companies are on the “fast food” business plan: get in and get out quickly — and don’t forget the bottom line. The men and women that spent six days in my home with me were so extraordinarily sensitive to our needs, our home and our flooding disaster. Seldom does one see such kindness, thoughtfulness, sensitivity and professionalism in combination in companies today. Inside all of our Water Restoration Vehicles is a truck mounted extraction unit, utilizing the latest technology in subsurface extraction tools. 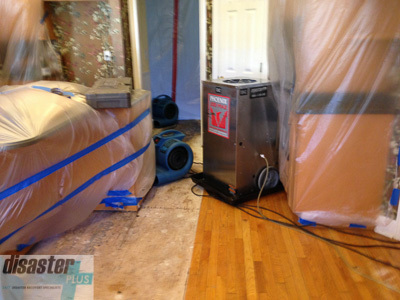 These extraction units allow us to remove the water from your property fast, subsequently lessening the possibility of microbial growth. Our subsurface extraction tools allow us to physically remove 90% more moisture from carpet and pad than a standard carpet cleaning wand. 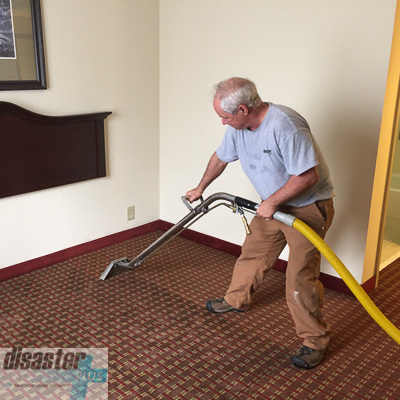 If your carpet does not have padding and is simply lying on top of a concrete slab, the water can be quickly removed with a standard extraction wand. 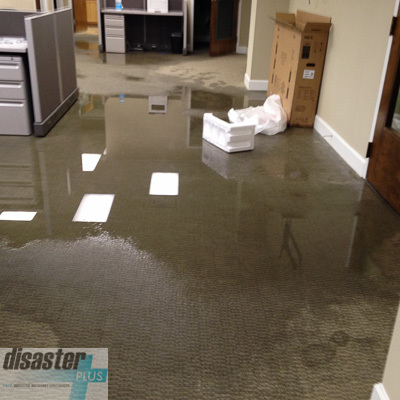 Disaster Plus is here to help with all of your water damage issues, working directly with you, your insurance company, or both of you to ensure that your claim is handled quickly and with the personal treatment you deserve. When your home experiences damage from water, the air quality in your home is likely the least of your worries. However, the damage from water can pose very serious health risks. Failure to reduce the moisture and humidity levels as a result of excess water could trigger allergic reactions, cause disease, and further damage the structure and materials in your home. 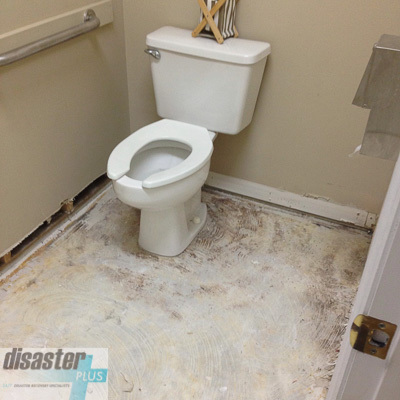 Your building’s walls, ceilings, wood flooring, carpeting, upholstery and draperies can often be saved after exposure to water when the issue is addressed immediately, saving you the expense of replacement later. The sooner you make the call, the surer your chances are to salvage your household furnishings and reduce additional restorative costs. 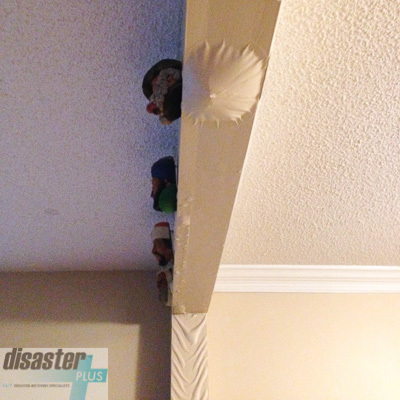 From your crawlspace to your attic, Disaster Plus will apply the most innovative methods available to remove excess water and moisture, and to stop the cycle of damage in your home as quickly as possible. Standing water is extracted from the building using truck mounted extraction units. Our water extraction trucks utilize the latest technology in subsurface extraction tools. These tools allow us to physically remove 90% more moisture from carpet and pad than a standard carpet cleaning wand. This process shortens the drying time, subsequently lessening the possibility of microbial growth. Once the surfaces have been extracted, any affected insulated walls or ceilings are opened and the water-damaged insulation is removed to allow access to the surfaces behind the drywall. 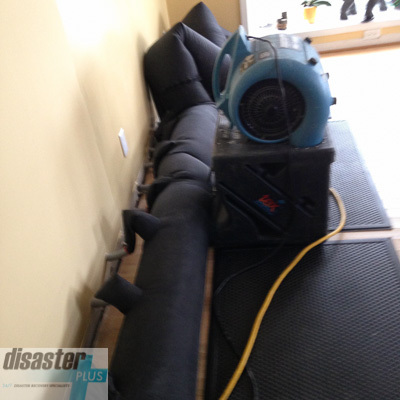 An example of one of Disaster Plus' wall drying units. Here a fan can be seen inside one of our TES units. A TES unit produces a significant amount of heat, which is then moved by our fan into this wall, expediting the drying process. 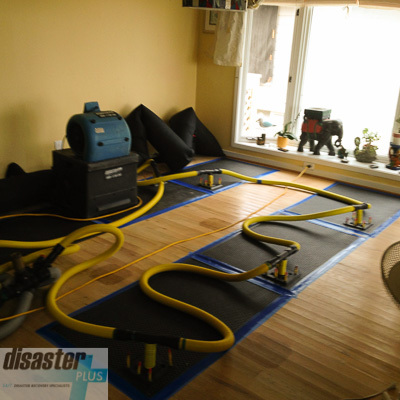 In the event that hardwood flooring is affected, we determine the extent of the damage. 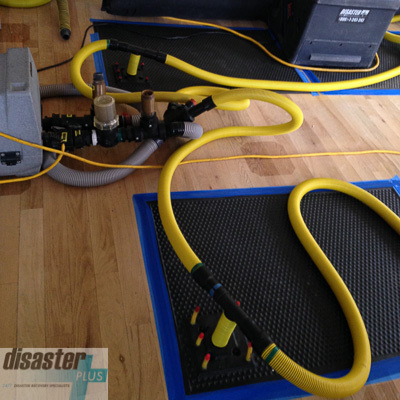 If the flooring is deemed salvageable, an Injectidry Floor Drying System is used. This system is a state of the art system involving the use of molded plastic panels attached to a vacuum unit, providing air movement under and between the floorboards. 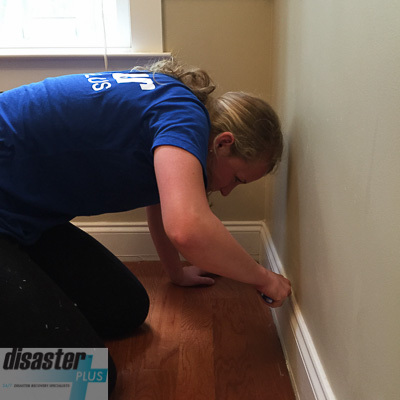 When removing any hardwood floors from your property, Disaster Plus will mark exactly where the affected area ends, ensuring that no dry parts of the floor are removed. 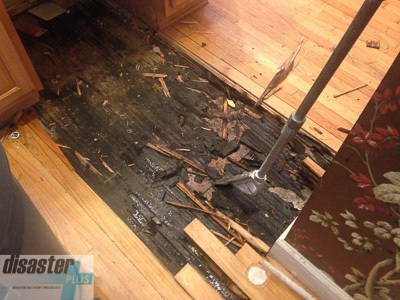 Our technicians are very experienced in removing hardwood floorings. Whether you have 3/4-inch Solid Hardwoods installed over a plywood subfloor or Engineered Hardwoods that have been glued down, you can rest assured that your flooring will be removed in the most efficient way possible, making the re-installation process that much quicker and cheaper. When removing hardwood flooring, it is often required that the baseboards over the damaged flooring be removed. In this situation, a razor will be used to separate the baseboards from your walls, preventing any damaging to your walls during the removal process. A floor scraper is used to remove any glue used in the installation of the hardwood flooring. 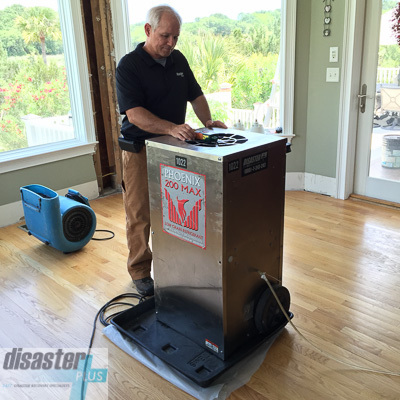 Should the flooring be deemed non-salvageable, it is removed and the exposed sub-flooring is dried with air movement and dehumidification. When removing drywall or flooring, the work area is contained with plastic, preventing the spread of possible contaminants. A HEPA Machine is also used to remove any harmful particulates present in the air. 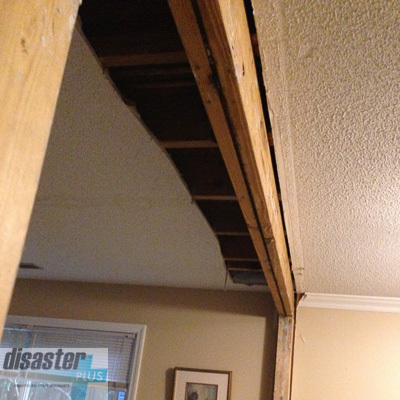 Once the standing water has been extracted, any affected insulated walls or ceilings are opened, and the water-damaged insulation is removed to allow access to the surfaces behind the drywall. 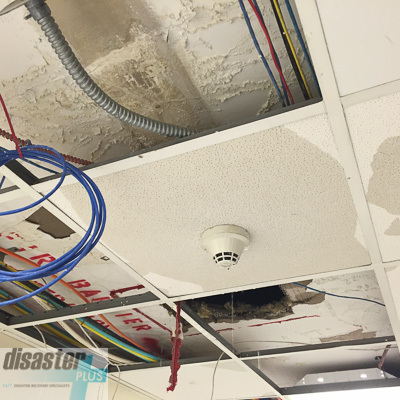 If the walls and ceilings of your building are not insulated but just wet, drying equipment will be strategically placed to begin drying these areas immediately. 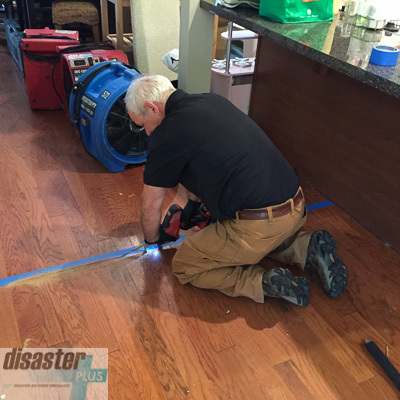 In the event that hardwood flooring is affected, we begin by determining the extent of the damage. 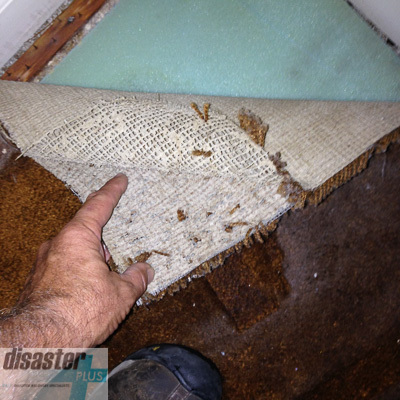 If the hardwood floors are deemed salvageable, the hardwood floors are dried in place. Drying is performed using an Injectidry floor drying system, a state of the art system involving the use of molded plastic panels attached to a vacuum unit. This system provides air movement under and between the floorboards, hindering fungal reproduction during the drying process. Should the flooring be deemed non-salvageable, it is removed and the exposed sub-flooring is dried with air movement and dehumidification. 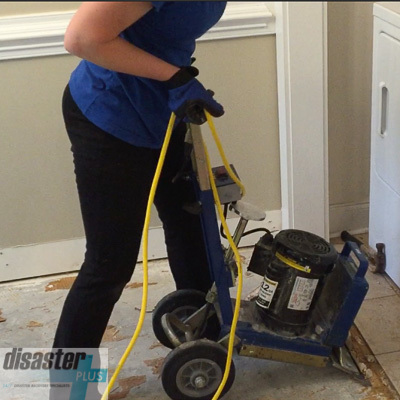 When removing any drywall or flooring, the work area is contained with polyethylene sheeting and sealed with tape, preventing the spread of dust or any other possible contaminants. If any fungi is discovered during demolition, HEPA Filtration Negative Air Machines will be utilized to remove particulates from the air and aid in the prevention of fungal contamination. Various moisture detection tools are used throughout the drying process to insure that the relative moisture content of the building’s materials are typically below 15%. Once this mark is reached, the structure is deemed “dry.” Temperature and relative humidity readings are taken daily by our technicians using a Thermal Hygrometer. 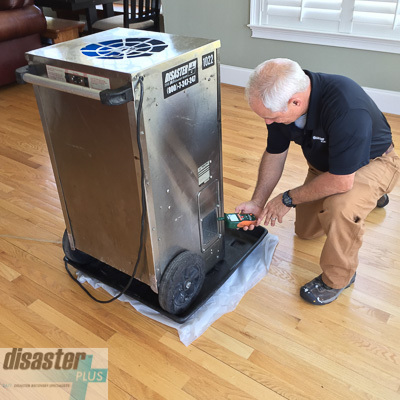 Readings for outside and inside air conditions, as well as the output of the dehumidifier, are recorded and utilized to calculate the specific humidity. This information is used to determine if moisture levels are decreasing and the equipment is functioning properly. Should the homeowner, business, or insurance adjuster request that the equipment be removed prematurely against Disaster Plus’ recommendation, the responsible party will need to sign a release of liability holding Disaster Plus harmless. Readings for outside and inside air conditions, as well as the output of the dehumidifier, are taken with a Thermal Hygrometer. The readings are recorded and utilized to calculate specific humidity. This information is then used to determine if moisture levels are decreasing and the equipment is functioning properly. The output of the dehumidifier is recorded and utilized to help calculate the specific humidity. This information is used to determine if moisture levels are decreasing and the equipment is functioning properly. 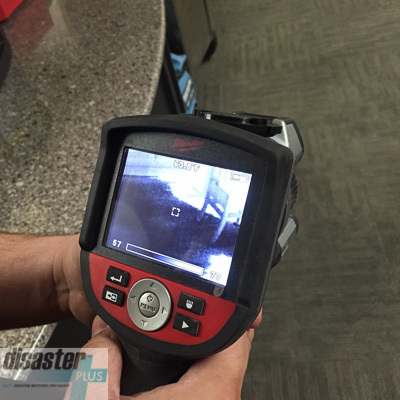 Infrared Cameras provide a non-invasive way to detect moisture in the structure of your home or property. When aimed at a surface, the cooler (wet) areas are distinguished on the camera's screen. 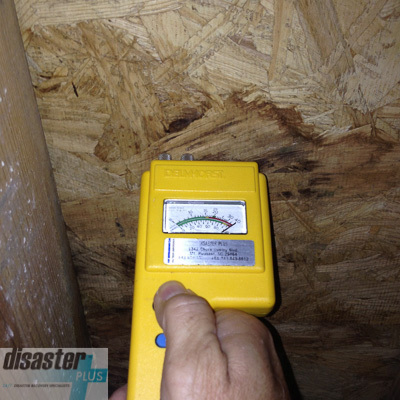 Invasive Moisture Meters are utilized to measure the moisture content in wood and drywall. When you experience flooding, don’t fuss, don’t cuss! 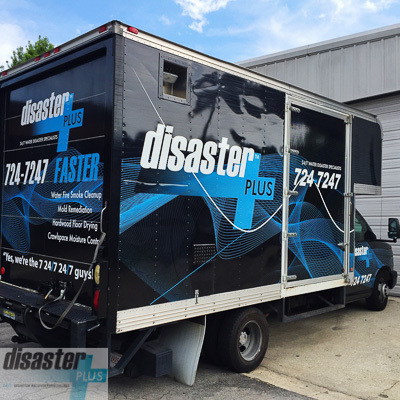 Call Disaster Plus, “The Faster Disaster Team” — providing services since 1986!